7) I’ve read a little about trophallaxis (I hope I spelled that right, because Microsoft Word does not help in scientific terminology), but I don’t see ants perform trophallaxis much. I was observing pavement ants though, so perhaps it has to do with the species. But my question is, do they perform it more underground, as in their colony? Or is it all because these ants weren’t hungry at the time? And what does an ant have to do induce another ant to perform trophallaxis? Some kind of touch communication by antennae? Yes, you did spell trophallaxis correctly. When ants feed on liquid food, it goes to the crop, an organ inside the gaster. 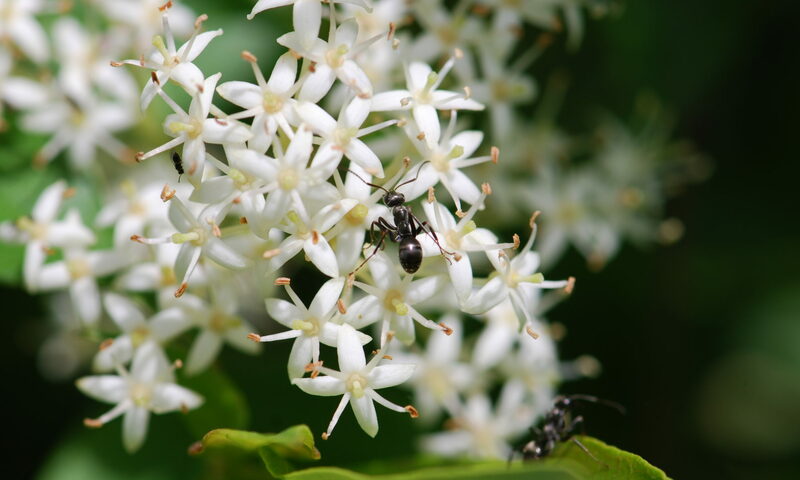 The crop can be called the ant’s “social stomach” because food collected there may be given to other ants via regurgitation. Ants pass food from mouth to mouth via a process called trophallaxis, which may look like kissing to the untrained observer. Any food the ant doesn’t share with other ants is passed to the ant’s own midgut where it is digested. 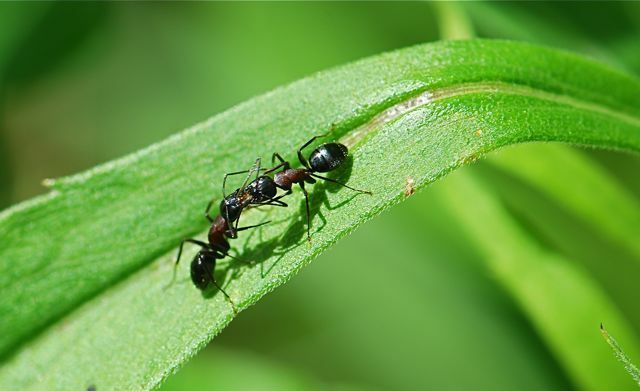 Most of the ants you see at the surface are foraging ants intent on getting food back to the nest as soon as possible. Outside the nest is a dangerous place. Thus, it is more common for the ants to engage in trophallaxis underground, as you surmised. Dr. Bert Hoelldobler studied how certain beetles are able to trick ants into giving them food this way. He was able to show that tapping an ant lightly with the antennae and/or forelegs (tarsi) in the right parts of the body, usually the labium, is enough to trigger an ant to regurgitate food. He was then able to use a human hair to touch an ant and get it to regurgitate. Dr. Alex Wild from Myrmecos blog, has an absolutely fabulous video of ants performing trophallaxis, which due to the wonders of YouTube, I can show you here. Thanks Dr. Wild! He also has some awesome photos of trophallaxis. A great work and an excellent video.